Most of the political parties are wooing Muslims, who constitute 20% of the electorate in the state. It is not that other caste groups are not being wooed. But as Muslims are a sizable chunk and spread across the state, there seems an effort to get their vote. Of course, there is a belief that the community votes 'en bloc'. Most parties are in this race to get a grab. Posters, banners, advertisements indicate Congress, which is naturally flush with funds, doing the best. It simply urges electorate to vote them and give them a chance to rule UP after almost 22 years. Its advertisements talk about corruption in central schemes, forcible land acquisition during the BSP rule and issues like poor implementation of Central schemes. 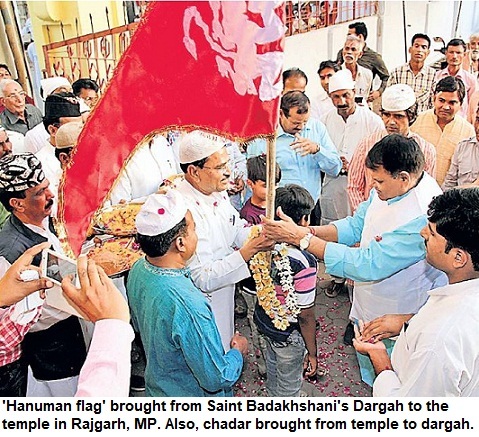 The Samajwadi Party has turned hi-tech. Its campaign is quite sophisticated. Under Akhilesh Yadav, the party has done its best to shed the earlier image, and is now talking about progress to all sections of the society apart from rule of law and justice. CAN CONGRESS CONNECT WITH THE COMMONER? Its advertisements show 'elephant' gobbling public funds. The printed ads in Urdu newspapers are also about a bright future--clean roads, parks, stadiums et al. Clearly, Mulayam Singh Yadav' son and his political heir wants to establish a rapport with the huge young population that is all set to vote in this election. In sharp contrast, Mayawati's BSP seems to be disconnected with Muslims. It doesn't seem to be making any effort either. Advertisements are missing in Muslim localities. No Urdu pamphlets, advertisements for 'Muslim media' at all. In some constituencies, the contestants on their own have got publicity material printed for minorities. It is learnt that Bahujan Samaj Party (BSP) believes the Muslims will do tactical voting, and if BSP's Muslim candidate is in a winning position, they will support it. Hence simply field more Muslims, and forget. Perhaps, this is wishful thinking, as Muslims don't seem enthusiastic about the party. Though in the last election, there was a feeling that BSP is a good alternative even though it had no track record of major welfare steps for the minorities. This time it seems an altogether different situation. The disenchantment is not about anti-incumbency alone. Muslims say party doesn't care about them at all. Even BJP is appealing for a chance. The banners ask voters to support it, for effective law-and-order, and transparency in governance. The morale of BJP cadre is not too high. Though it has nothing much to expect from Muslims, it hasn't ignored them either. 'Hindutva' is not an issue anymore in UP. Party now talks about development. The Ram Janmabhumi-Babri Masjid is no longer an issue here. In other states, this may stir passions, but having seen the rise and fall of BJP and its politics here, the voter has no interest in such 'siasat' now. The party reminds voters that Atal Bihari Vajpayee, who is supposed to have a following among section of Muslims, was repeatedly elected from Lucknow. BJP is reluctant, yet seeking votes from Muslims. Even though Uma Bharti's entry was expected to change the mood but except a few constituencies of Bundelkhand, there is no resurgence visible on the ground. She has not been able to make a difference as yet. Apart from the mainstream parties, the new feature is that over half-a-dozen 'Muslim' parties are in the fray in UP elections. Peace Party has a presence across the state. Its president Dr Ayub is a well-known face in UP now has put lot of effort in campaign. His candidates also seem quite enthusiastic though its not going to be easy for them to translate this 'response' into votes. On the other hand, Ulema Council urges Muslims to vote for it, because it raised the issue about demonizing Azamgarh and the indiscriminate arrest of youths. The banners with the symbol 'kettle' and couplets, are visible off and on. Other caste groups are also being wooed by the parties in their pockets of influence in similar manner. Apart from Dalits, Brahmins, Yadavs, Jats, Kurmis, Lodhs, even much smaller castes ranging from Rajbhar to Nonia are all important in this election. Here we just took a look at the language these parties are speaking to with Muslims. With just a couple of rounds of polling left, the stage is set for results, that will start pouring in on March 6. Let's see whom the politically aware UP electorate is going to gift the power. Or will it be a hung Assembly, as predicted by several politicians and analysts.